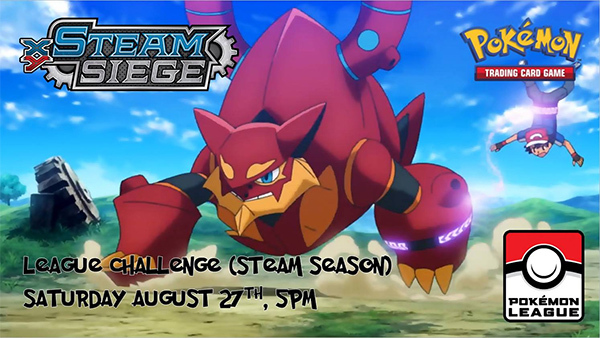 Join us for a League Challenge for Steam Season! Prizes will be in the form of League Challenge Promos and store credit. Registration begins at 4PM and the 1st round will begin at 5PM.